Dr. Nancy Kline has worked in education since 1980, and has held numerous positions ranging from teacher to superintendent. In addition to teaching at Lynn, she currently provides training and development for non-profit organizations and businesses, public and private schools and colleges. Prior to joining Lynn, Dr. Kline was a teacher in the Palm Beach County School District for 10 years and an Executive Director of the Early Learning Coalition where she increased the availability of high-quality early learning environments for children and families. Dr. Kline served the Martin County School District for 8 years as the superintendent of schools and vice chairman of the school board. She has also collaborated with Florida school districts and local non-profit agencies to train and develop staff. Dr. Kline has presented at numerous educational conferences across the country. Dr. Kline earned her Ed.D. and M.Ed. from Lynn University, and her B.A. from Florida Atlantic University. Dr. Richard Jones has worked with educators and organizations in all 50 states and several countries to help prepare students for the future. His teaching specialties include training and development, instructional technology, organizational change, technical training, instructional strategies and curriculum development. Over the course of his 40-year career, Dr. Jones served in several leadership capacities for two decades in the New York State Education Department and worked in the private sector developing technology applications and consulting on organizational change and leadership. He has authored fourteen books and numerous academic journal articles on instruction and leadership. Dr. Jones holds a Ph.D., an M.S. and a B.A., all from Cornell University. Dr. Kelly Burlison is an Assistant Professor and Program Coordinator for the Elementary Education K-6 undergraduate program at Lynn University. Her teaching specialties include active instructional teaching strategies, effective reading and ESOL strategies, literacy and multiculturalism and reading diagnostic assessments K-12. 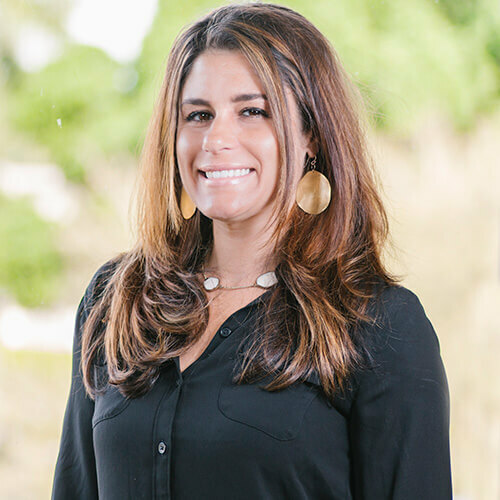 Dr. Burlison began her teaching career as a reading specialist working briefly in the elementary grades before becoming a high school reading teacher, mentor, and reading coach for the Palm Beach County School District. She has experience working extensively with diverse students, struggling and resistant readers, and novice reading teachers grades K-12. She was awarded the Outstanding Teacher of the Year Award for the 2013-2014 academic year at Lynn University, and she is a peer editor for the Long Island Review Journal and serves on several dissertation committees. Dr. Burlison earned her Ed.D. from Nova Southeastern University. She also holds an M.S. and a B.S. from SUNY Cortland. Dr. Frank Raffone has worked in education for more than 50 years. His teaching interests include leadership and curriculum. Over the course of his professional career, Dr. Raffone has served as a teacher, vice principal, principal and assistant superintendent. His other titles have included Director of Curriculum and School Improvement, Executive Director of Instructional Services, and Educational Consultant for the Florida Department of Education. Dr. Raffone has led organizations and school districts in the area of staff development and training, and has trained at numerous conferences nationwide. Dr. Raffone earned his Ph.D. from Fordham University and his M.A. from St. Joseph University. He also holds a B.A. Providence College. To learn more about Lynn University's online Master of Education in Educational Leadership and download a free brochure, fill out the fields below. You can also call 877-388-7239 to speak to one of our admission counselors about the degree program.